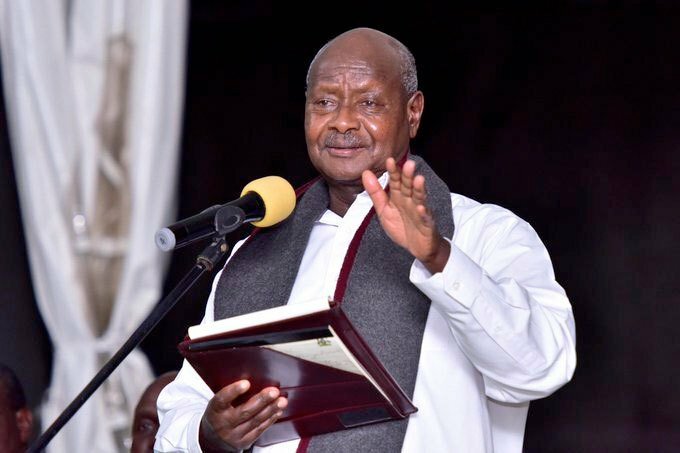 KAMPALA – Legislators on the Parliamentary Committee on Budget have been told that President Yoweri Museveni has run out of money for donations and is requesting for more funds to meet his obligations. The revelation was made by the State House Controller Lucy Nakyobe after she asked Parliament to give State House UGX1.5b to meet their donation promise they had made to the organizers of the Africa One Conference that was recently held at Common Wealth Resort Hotel in Munyonyo. However, Ms. Nakyobe’s request was met with a barricade of questions from Butambala County MP, Muwanga Kivumbi who tasked her to explain why taxpayers need to dig deeper into their pockets when Parliament appropriated funds to State House for the President’s possessions. This saw an exchange ensue between the two. In the 2018/2019 financial year, Parliament approved UGX64b for State House donations and only UGX6b is remaining to cater for State House scholarships for students both abroad and locally. After the back and forth exchange, Mr. Amos Lugoloobi, the chairperson of the Budget Committee tasked Ms. Nakyobe to avail the Committee with evidence of accountability on how the donation funds was spent. In this financial year, President Museveni has been dishing out money to a number of youth groups around Kampala and Wakiso. In a related development, the Budget Committee declined to consider a supplementary budget from State House worth UGX11.5b after learning that some of the money State House had requested for had already been spent by the institution and only came to Parliament to cement their expenditures. Of their supplementary request, UGX1.5b is to cater for commitment made towards the organisation and hosting of the Africa Now Conference, as well as the Kyankwanzi retreat in which Special Force Command had to purchase classified equipments and the remaining UGX10b, will go towards the purchase of Okello House that was sold to State House by Standard Chartered Bank. Mr. Kivumbi raised red flags with the money needed for classified budget after realizing that the item the money was spent on wasn’t indicated. “Our humble request is that there is impunity growing. As Parliament we see State House if you used classified as an avenue you are sure we shall not look at it. It is being abused. This is becoming unbearable to the economy. If we allow this to go on, they will come back and they will take this money with impunity,” Mr. Kivumbi added.